Does eating healthy on Halloween scare you; maybe it should scare you just a little. One of three children is overweight and weight gain this time of year is astounding. Serve a healthy, satisfying dinner before your child goes trick-or-treating. 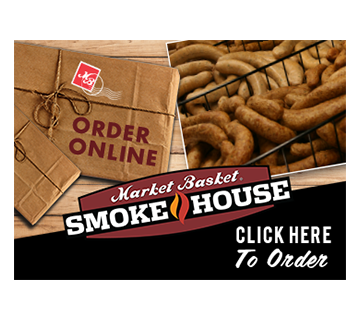 Market Basket Foods can help make this easy for you. Simply pick up a rotisserie chicken, baking potatoes, and “quick-cook” frozen vegetables to serve before heading out to get those treats. If your little ones go for treats when feeling full, it will be easier to encourage them to use portion control when returning home. Help them to separate their candy and teach them the importance of portioning amounts for each day so they can avoid overeating. Also, increase the activity level for your family during the week following Halloween. Go out for walks, biking, or simply playing ball. Movement is activity, and increased activity burns calories, which can help prevent weight gain.